The ever advancing electronics industry requires an increasing need for electronic component testing (IC testing) and component verification. The component test capabilities and component verification lab at NTS performs test and inspection to determine proper component functionality, verification or failure analysis (F/A). 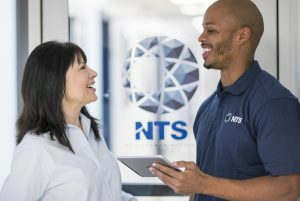 NTS’microelectronics testing and engineering lab provides firms worldwide with unmatched excellence in integrated test and engineering services that support the industry from the early chip design stage to volume production. Test scope includes flip-chip, BGA, QFB and QFN packages both through-hole and Surface Mount Technology (SMT). 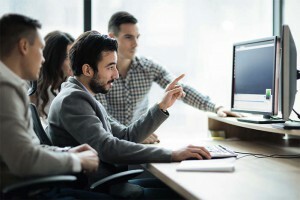 Access our unparalleled knowledge base from which to help you design, develop, test, analyze, and debug even your most challenging projects. Improved product design, enhanced reliability, and ensure product quality are just some of the valuable results you will realize by testing your products for compliance with their electrical operating parameters. Component testing may be performed as an independent analysis of the product’s electrical properties or it may be performed in conjunction with Environmental Simulation. When it comes to guarding against counterfeit components, it’s important to note that component counterfeiters are continually evolving and improving their techniques. The electronic industry has seen a significant increase in counterfeit components/IC’s and defective components being distributed as new and unused.